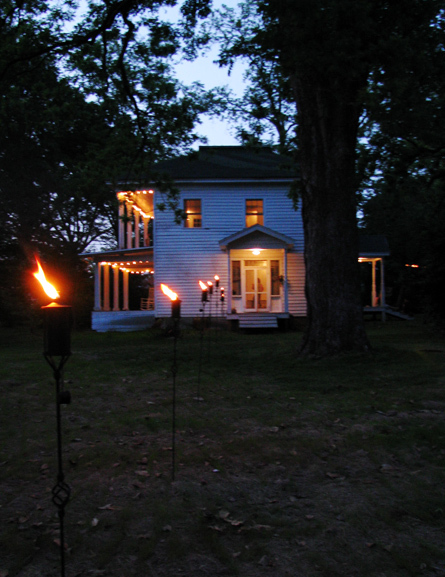 Several months back, in early May, I visited the Rural Studio for their end-of-term closing ceremonies and pig roast. 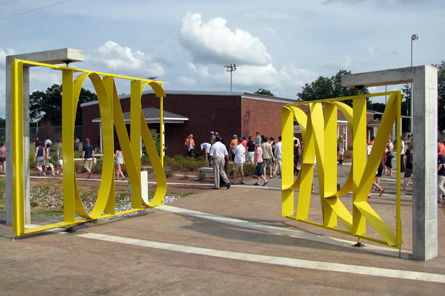 A program of Auburn University’s College of Architecture, Design and Construction, the Rural Studio is embedded in rural Hale County, Alabama. 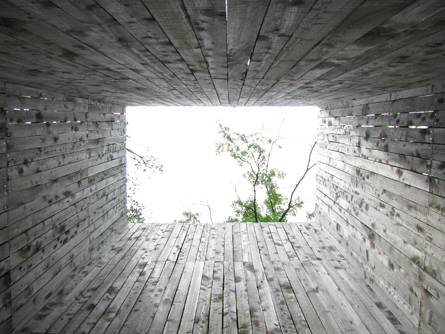 Throughout Hale County, the Rural Studio puts architecture students to work designing and building creative, low-cost, high-quality solutions to the needs of rural communities. Auburn/Rural Studio alumni Jessie and Britton led us on an amazing three-day tour of this special place. We toured all of the 2008-09 projects, which were: the $20K House, the Courtyard House, Thinnings, and the Lions Park Skate Park and Concessions. We also saw many previously completed projects: the Perry Lakes Bridge, Bathrooms, Pavilion, and Tower; the Lions Park Baseball Fields and Gates, the Newbern Fire Station, Amphitheatre, Subrosa, the Pods at Morrisette, the Thomaston Farmer’s Market, and the HERO Children’s Center. Lions Park gate - Greensboro, Alabama. 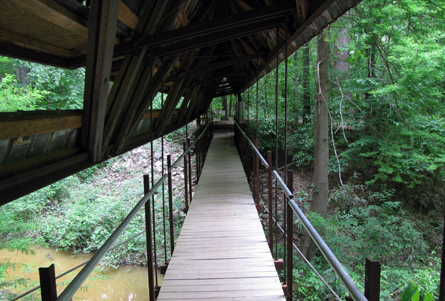 Bridge - Perry Lakes, Alabama. "Tall Toilet," one of three unique bathrooms at the park including the "Long Toilet" and the "Mound Toilet" - Perry Lakes, Alabama. 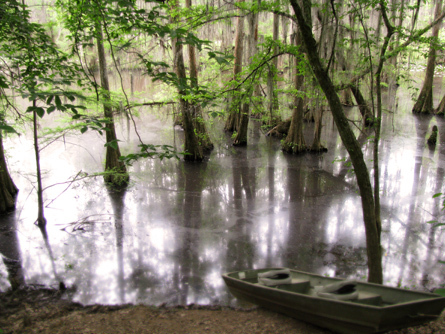 Cypress swamp with boat - Perry Lakes, Alabama. 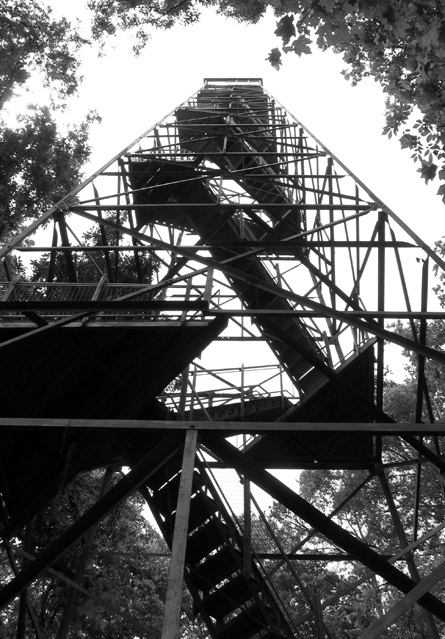 A 100-foot-tall decommissioned fire tower takes you up through every stage of the tree canopy - Perry Lakes, Alabama. 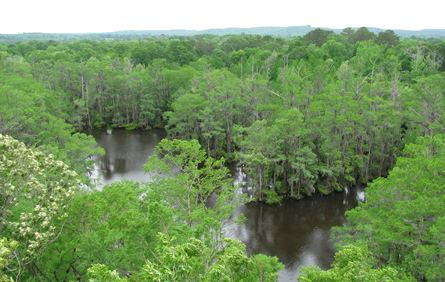 Upon arriving at the top of the tower, the visitor has an excellent panoramic view - Perry Lakes, Alabama. 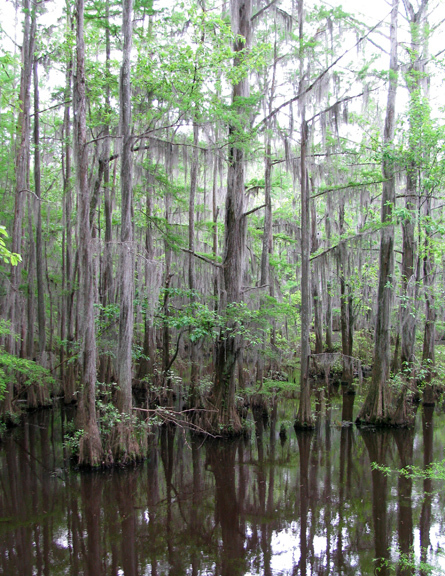 Although our goal on the last day was to go swimming at Perry Lakes, we were thwarted and chased through the woods by a massive thunderstorm that was sending branches, bolts of lightning, and entire trees crashing down upon us. After we took shelter and the storm had cleared, we found trees down and power out throughout the area; Jessie and I nearly ran out of gasoline before finding a gas station with a generator to run the pumps. See these photos on Flickr. Find out more about the Rural Studio at the Rural Studio Website, as well as this Speaking of Faith segment.